An A-to-Z guide to hundreds of tax write-offs. 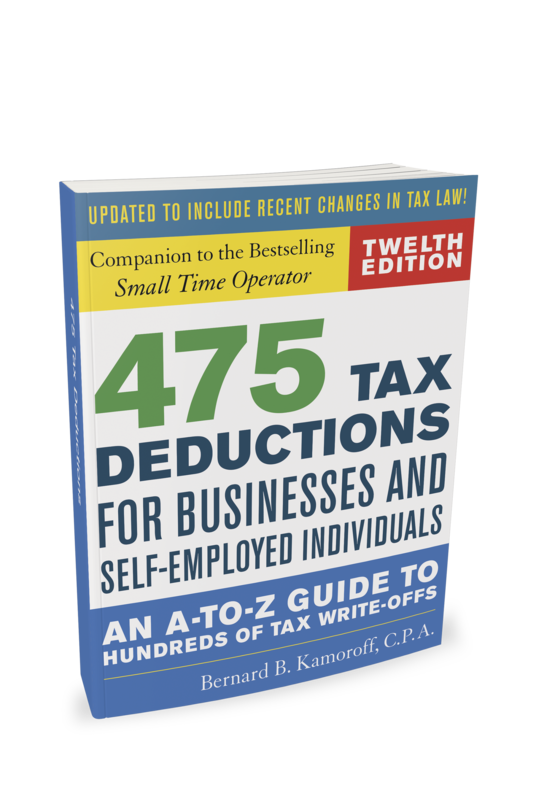 This invaluable book, updated to reflect changes in tax law, not only lists the individual items that are deductible—from Internet domain name costs to theft losses—but also explains where to list them on your income tax form. Includes a chapter on home-based businesses. This product is not eligible for any sale or discount offers.